Christmas day release confirmed/announced at CinemaCon. Focus Features has re-confirmed the Christmas Release date. So he did make it for the Christmas. There's a shot in 'Get Out' from inside the glass of a donut display and all I was thinking was "don't pan up to the black guy's face, don't pan up to the black guy's face.." and it didn't, but I still think it's a subtle nod. Jordan* says there are a lot of them in the movie. 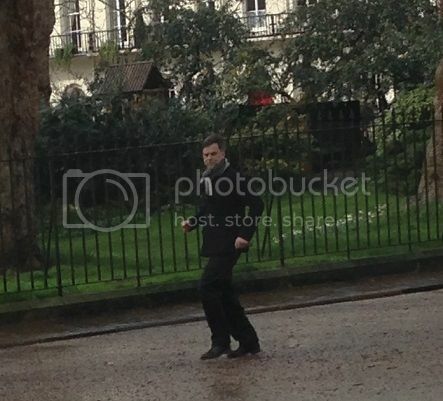 Minor update on filming in London, starts about halfway down the post. "One extra said it had been an “exciting but exhausting” experience - starting at 5am and ending after 10pm, complete with glamourous costumes and ‘taboo goings on’ reminiscent of the Chelsea parties. " a PTA filmed new year's eve party will look pretty great in that setting. The imdb page has been updated with new cast and plot line added. Looks like it is about Charles James after all. I'm not sure if I believe it, but I guess it's possible. I just still doubt PTA would go down the beholden to real life route. anything new about the film?